This happens to me know too! Good idea to put them in one post! I love the 1st look - the fur vest is just perfect for Winter & with those booties! Wishing you the best of the holidays too!!! I have so many posts in draft that just never gets published too. Thanks for sharing them. OMG, I have at least 60 outfits from this year that never got posted. I am glad you posted these though, since they are all so cute. The first two outfits are my absolute favorites! i am in love with the first picture in the snow, adorable! All of these are super cute! I love the first look with the dress and the snow! Well this is a good idea to dig through the archives! Kind of fun to see all seasons represented in one post and remember happy days of bare ankles and elbows :) Love that summer look. And the first look with the snow and the vest too! All super cute looks. 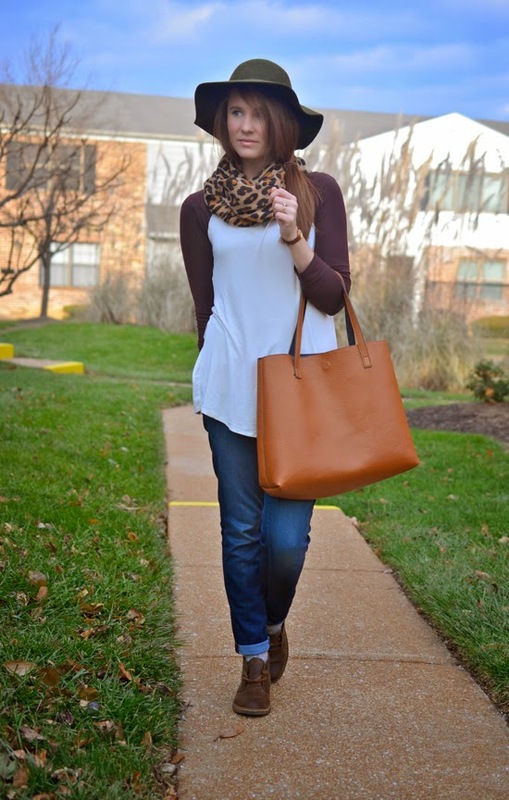 I really like the burgundy baseball tee with the leopard scarf and floppy hat ... so cool and casual! 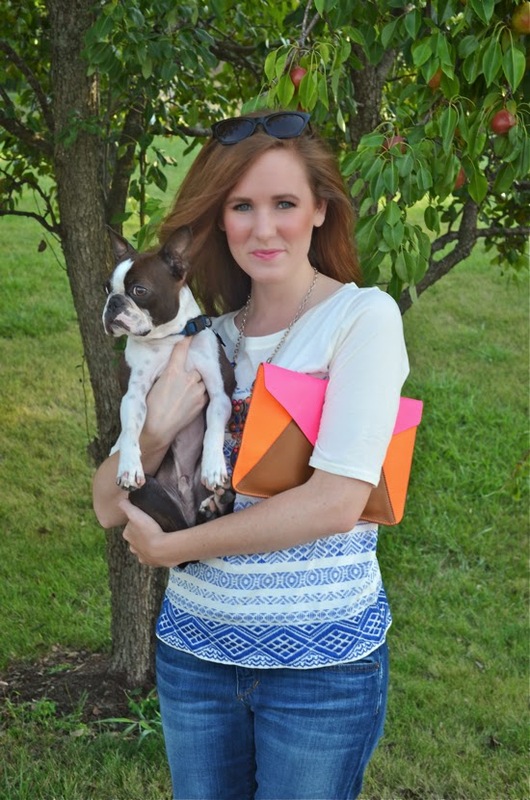 I like seeing bloggers' "unblogged" looks, and I love all of these! Especially the one with the layered hoodie and leopard flats, what a cute, casual look! 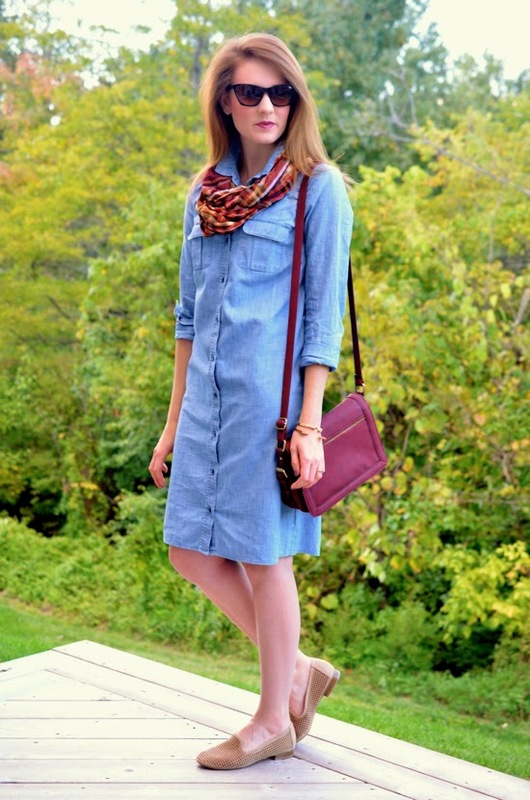 I love that chambray dress with the pink bag! What a great look. Actually, they're all pretty awesome! The tunic + OTK boots is my fav, but I also really like the hoodie layered over chambray! Great looks! I love seeing your looks grouped together like this because it really gives us a sense of your style, which subsequently is easy peasy classic chic! Some of your looks are great. The first look in the snow and grey outfit are my favorite. Thesr are all great outfits. I can't belive you didn't post these. such cute looks! darling outfits! your pup is darling!